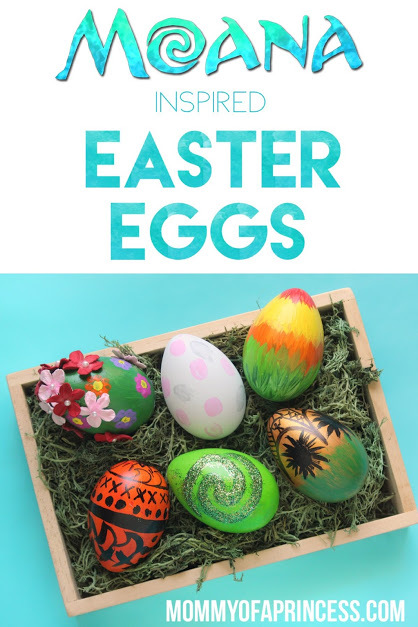 If you have a little Moana fan in your house, these fun DIY Moana Easter Eggs are a must. 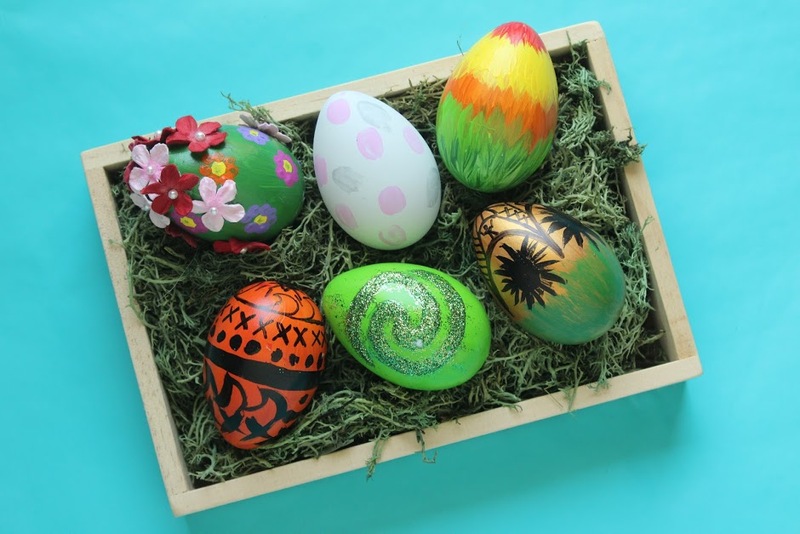 I purchased plastic craft eggs (like these) and used a variety of acrylic paints to make these eggs come to life. I started by painting the base colors; Moana is orange, Maui is bronze, Te Fiti is dark green, the heart of and Te Fiti is light green. I did the Hei Hei inspired egg multiple colors and the Pua egg was left white. My daughter loves painting, specifically on her hands (curse those YouTube videos). I wanted to find a fun way to include her in this craft without making a huge mess. The grey and pink spots on the Pua inspired egg are my daughter’s fingerprints. The large round black spots on the Maui themed egg are her thumb prints. We made the Te Fiti egg together using a Q-Tip to make the little circles to make up the flowers. I created the fine details on the Moana and Maui eggs using a black Sharpie marker. Of course, what’s a craft project without a little glitter? I loved adding a little sparkle to the Heart of Te Fiti egg. 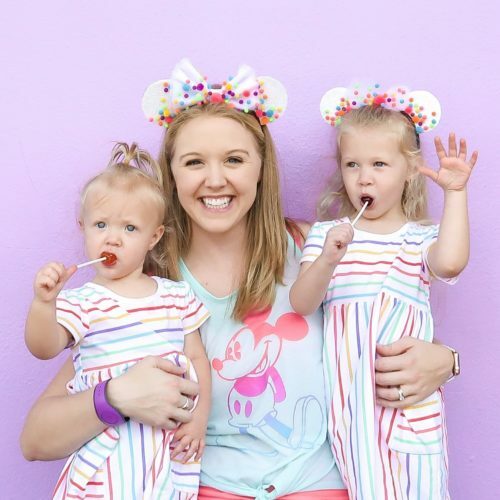 If you want more Moana fun, check out my daughter’s Moana themed 2nd birthday party with free printables or these awesome Maui Mickey Ears!